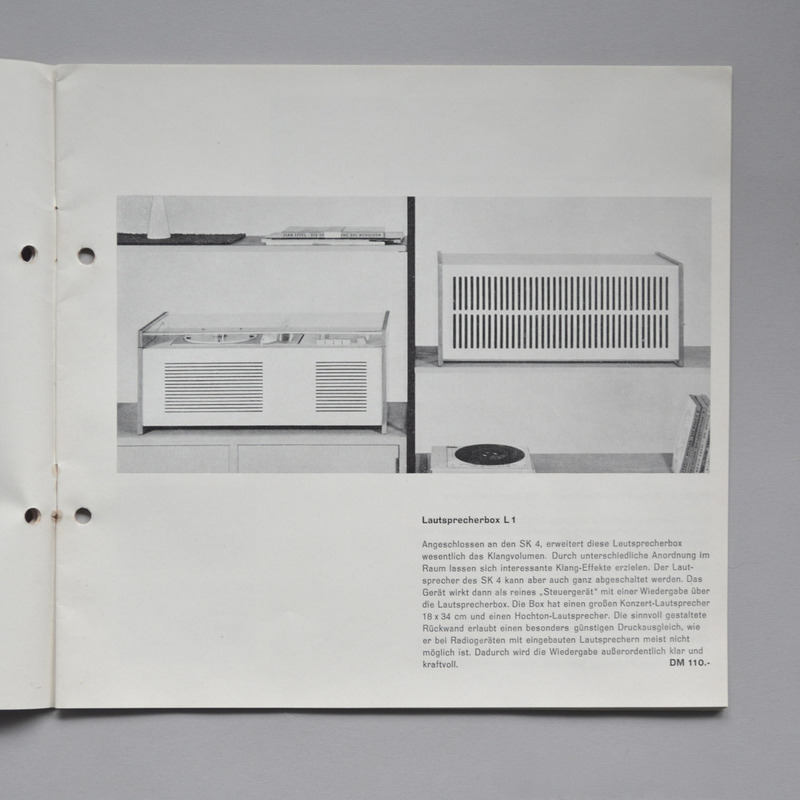 Early brochure presenting SK 5, L 1, Atelier 1 and Exporter 2. 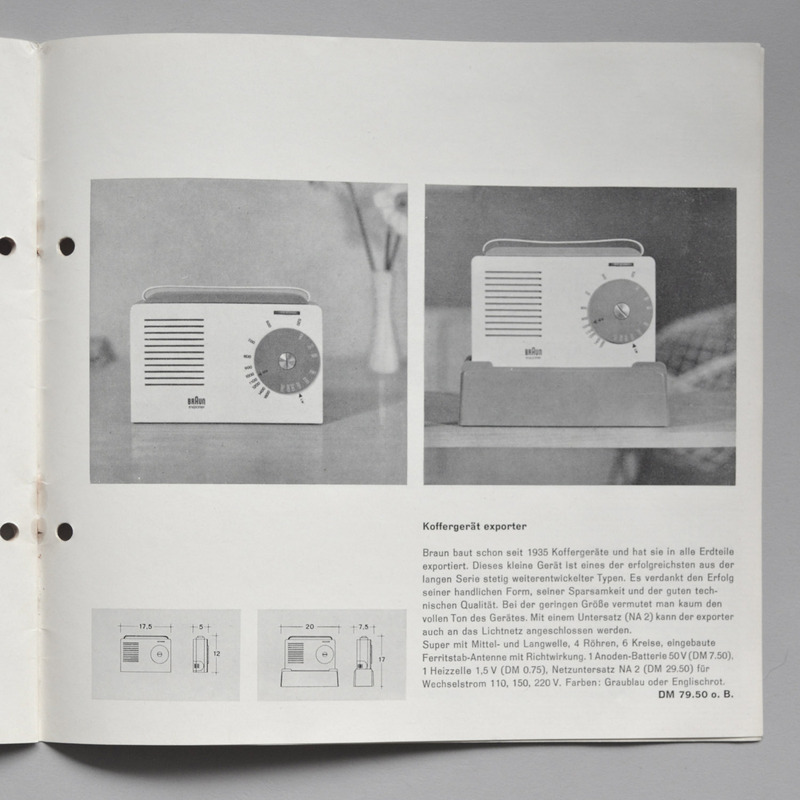 Early brochures, such as this typically seek to connect products to specific interior settings. This connection to status and lifestyle became more abstract in the following years. 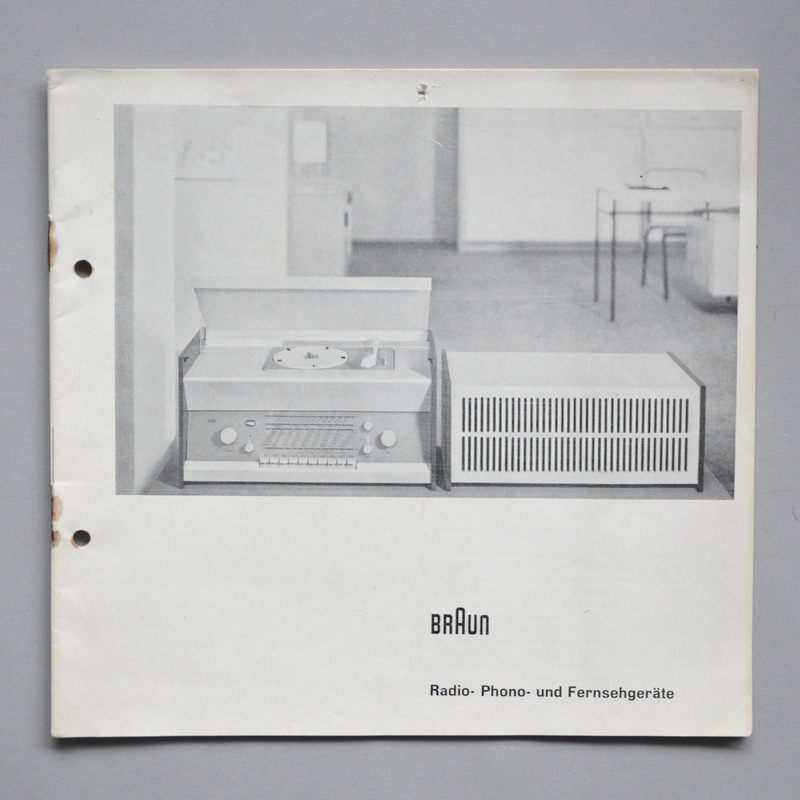 Emphasis shifted from the literal representation of objects in use to the presentation of quality and technical achievement through largely graphic technique. On the cover of this brochure, the tendency is anticipated by the removal of a seated figure.